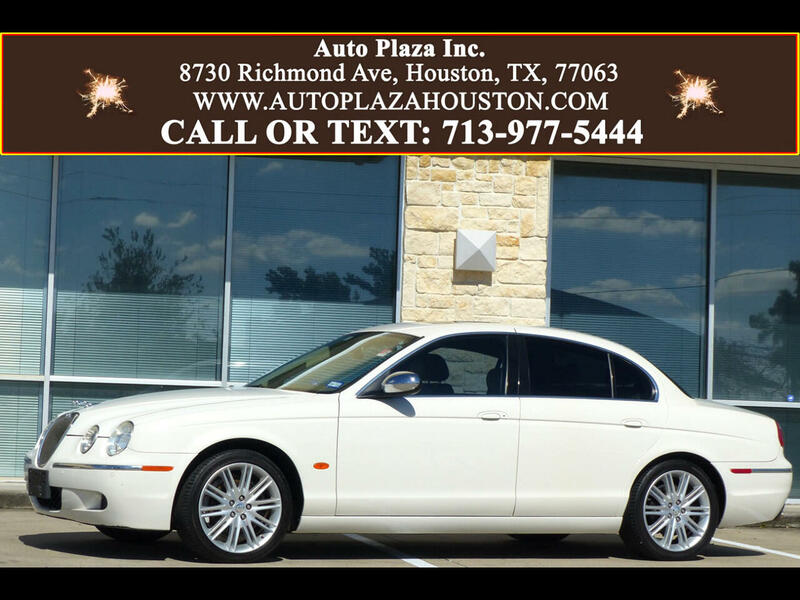 Used 2008 Jaguar S-Type 3.0 for Sale in HOUSTON TX 77063 Auto Plaza, Inc.
Want a Car that is quite Original, yet Classic and Reliable? Presenting to you this Super Sleek Low Mileage 2008 Jaguar S-Type with a Smooth Automatic Transmission. Options Include, Navigation, Sunroof, Front and Rear Parking Sensors, Power Heated Leather Seating, Automatic Dual Zone Climate Control, Traction Control, Intermittent Wipers, Wood Trim, Rear Defroster, Power Locks, Power Windows, Tilt Steering Wheel, and Much More! Furthermore, this Jaguar Boasts Excellent Road Manners giving it a sporty feel, and Impressionable Handling unlike any Other! Its Quality Engineering and Excellent Performance Output Enable it to Compete with the German Automobiles, Winning itself a place in the hearts of drivers all over. Furthermore, this Jaguar has a theft recon title and Boasts Excellent Road Manners giving it a sporty feel, and Impressionable Handling unlike any Other! This Vehicle comes with a Powerful V6 Engine, and We Can Guarantee this Jaguar will Change Your Driving Experience FOREVER! So, Don't Wait Any Longer…Call Today!!! Message: Thought you might be interested in this 2008 Jaguar S-Type.